Zach set a school record in a 6-3 victory over Sycamore last week, scoring all six of the Highlander goals, a double hat-trick. It was an amazing performance, with one goal coming off a head ball, and the others off a barrage of various shots. 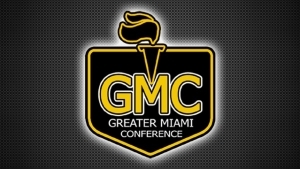 Zach currently leads the GMC in goals scored with 14 and overall points with 29. Joey shot a 40 to lead the Highlanders in his final match against Elder with a 4 over 40. Joey also is a Varsity Swimmer on the Boys' Swimming Team. Molly had an outstanding race on Saturday at the Ross Invitational. She placed as the team's #3 runner with a personal best time of 21:44. Shelby tallied 1 assist and caused havoc on both Sycamore and Lakota West's back lines. Shelby's field vision and ability to take defenders on 1v1 along with her technical skill makes her a very dangerous threat on the field. Shelby also takes 3 AP courses and 1 Honors Course.